From the Livia Diamond Collection - the flowing lines are a symbol of the journey that makes up the Circle of Life. 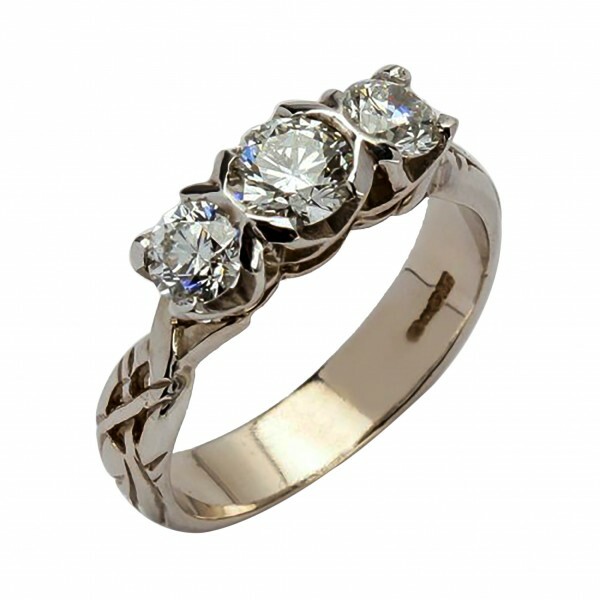 Made in White 14 Karat Gold it features 2 Brilliant Cut 0.3 Carat Diamonds flanking a beautiful 0.5 Carat Centrepiece. This is a beautiful Claddagh Band Ring made from 18 Karat Yellow Gold. It has the classic featu..